The Foreign Account Tax Compliance Act (FATCA), contained in Sections 1471 to 1474 of the US Internal Revenue Code (the Code), was enacted as part of the Hiring Incentives to Restore Employment Act in 2010. Final regulations under FATCA were adopted by the US Treasury on 17 January 2013, effective as of 28 January 2013, and additional regulations were adopted on 6 March 2014 and 6 January 2017 (the Regulations). On 12 July 2013, the Treasury postponed the effective date of FATCA's withholding provisions by six months, from 1 January 2014 to 1 July 2014, as it continued to work with foreign governments in an effort to meet their requests for changes in the implementation rules.2 Withholding provisions became effective as planned on 1 July 2014. Reporting by certain financial institutions began on 31 March 2015 for the 2014 year. FATCA was adopted with the principal purpose of preventing US persons from using foreign accounts and foreign entities to evade US tax on their assets deposited abroad. FATCA requires US payers, including US banks, brokers and companies, to withhold 30 per cent of certain 'withholdable' payments made to a foreign entity unless the entity qualifies for an exemption or is itself compliant with FATCA. The 30 per cent withholding rate is that which historically has been imposed on payments of interest, dividends, and other passive income by US payors to foreign persons, but until FATCA there were no withholding requirements on payments to foreign accounts of US persons. Payments made to foreign banks, brokers, investment advisers and other foreign financial institutions (FFIs) will have withholding imposed upon the full payments made to the FFI, even if most of the payment is allocable to foreign account holders, unless the FFI itself is exempt from withholding or, if not exempt, enters into an agreement with the Internal Revenue Service (IRS) to report on all US account holders. Payments made to non-financial foreign entities (NFFEs) with US owners also are subject to FATCA, with different reporting requirements than those imposed on FFIs. Essentially, FFIs report directly to the United States Treasury or to their own government, while NFFEs report to financial institutions. This chapter provides a general overview of FATCA as it relates to individuals and related entities (i.e., foreign trusts and foreign corporations owned by foreign trusts) that are deemed to be FFIs. Withholdable payments for purposes of FATCA generally include (1) payments of US-sourced 'fixed or determinable annual or periodic' income, such as dividends and interest; (2) payments of the gross proceeds from a sale or disposition of property occurring after 31 December 2018 that can generate US-sourced interest or dividends; and (3) 'foreign passthru payments' made by certain FFIs.3 The withholding under FATCA can be draconian; in some cases, a foreign entity may not be entitled to a refund or credit of taxes withheld in excess of the entity's actual liability for the tax. In order to avoid this, clients must take steps to qualify for an exemption or otherwise comply with the reporting requirements. The requirements with which a foreign entity must comply to avoid FATCA withholding differ depending on whether the entity is classified for FATCA purposes as an FFI or an NFFE, and whether the entity is resident in or organised under the laws of a jurisdiction with which the United States has entered into an intergovernmental agreement (IGA). FFIs are generally subject to a higher compliance burden than NFFEs, and compliance obligations under the Regulations may be different from those under an IGA. Under the Regulations, an FFI is any 'financial institution' that is a foreign entity.4 There are five types of 'financial institutions,' but the most relevant to this chapter is an 'investment entity'.5 An investment entity includes an entity the gross income of which is primarily attributable to: investing, reinvesting or trading in financial assets, and is managed by another entity that primarily conducts, as a business, on behalf of customers, the activities of individual or collective portfolio management; or investing, administering, or managing funds, money or financial assets on behalf of other persons.6 Generally, foreign trusts will be treated as FFIs. The United States is offering foreign jurisdictions the opportunity to enter into one of two types of IGA that alter the compliance burdens under FATCA.7 In general, if the United States enters into an IGA with another country, the United States undertakes to give that country full financial disclosure concerning US accounts maintained by residents of that country in the United States, and, in certain cases, reciprocity for the financial institutions in that country giving financial disclosure to the United States Treasury on accounts maintained there by US account holders. The countries that enter into Model 1 IGAs (the Model 1 Countries) undertake to the United States to adopt internal reporting rules that replicate FATCA, and to require FFIs in the jurisdiction to report information on US accounts and account holders to the tax authorities of the partner jurisdiction, which then agrees to automatically share all of the reported data with the United States Treasury on an annual basis. FFIs located in or organised under the laws of a jurisdiction that has adopted a Model 1 IGA are subject to the provisions of the IGA, rather than to the Regulations. The countries that enter into Model 2 IGAs (the Model 2 Countries) agree to amend their laws in order to require FFIs in their jurisdiction to report directly to the United States Treasury information on accounts maintained by US persons within the jurisdiction. A foreign trust with an individual trustee should be treated as an NFFE, not an FFI. Under the Code,13 a 'foreign financial institution' is a foreign entity that: (1) accepts deposits in the ordinary course of a banking or similar business; (2) as a substantial portion of its business, holds financial assets for the account of others (that is, acts as a custodian); or (3) is engaged primarily in the business of investing, reinvesting or trading in securities, partnership interests, commodities or any interest in the same. An individual trustee is not an 'entity'; no individual trustee would meet the definitions of (1) or (2), and, as to (3), trustees are investing their own money, not that of others.14 Most large foreign trusts, however, will be treated as FFIs under the Regulations, because all foreign trusts with corporate trustees acting for different customers will be FFIs,15 as will individual trustees or private trust companies (PTCs) that retain any outside investment advisers.16 Foreign trusts may be better advised to treat themselves as FFIs, and do their own reporting, rather than as NFFEs (see discussion of alternative reporting methods below), where the depository financial institutions will determine the scope of reporting. The Regulations are not clear as to their treatment of PTCs that do all their own investing and retain no professional advisers, but such PTCs may be rare. To be compliant with FATCA, a foreign trust that is treated as an FFI must undertake to perform due diligence so as to obtain all requisite information on its 'account holders' (beneficiaries), including 'Chapter 4 status' of the account holder (that is, whether the account holder is a US or non-US person for tax purposes), name, address, taxpayer identification number, account balance, and distributions made to any US person during the preceding tax year. Under the Regulations, a person is deemed to hold an interest in a foreign trust if he or she has mandatory or discretionary interest in the trust.17 Guidance notes and draft guidance notes in some partner jurisdictions provide clarification on whether a trust beneficiary is a US reportable account holder. Under the FATCA Regulations, a US discretionary beneficiary of a US trust that is a financial institution is only a reportable account holder in the trust if the beneficiary actually receives distributions in a given year (referred to in the Regulations as holding an 'equity interest').18 FFIs subject to IGAs, however, may be subject not to compliance methods as stated in US Treasury Regulations, but rather to those stated in the relevant IGA. In the Cayman Islands, guidance notes released in December 2014 and last updated on 1 July 2015 state that the definition of 'equity interest' used in the Treasury Regulations may also be used under the Cayman–US IGA.19 The British Virgin Islands released guidance notes in March 2015 with a similar distribution requirement for an 'equity interest'.20 Guernsey's draft guidance notes21 use the same definition, as do Jersey's,22 the Isle of Man's,23 Ireland's24 and Singapore's.25 South Africa's guidance notes take a broader approach, noting in the definition of 'equity interest' that a specified US person will only be treated as a beneficiary of a foreign trust if the person has the right to receive, directly or indirectly, a mandatory distribution, or may receive, directly or indirectly, a discretionary distribution.26 Mauritius's27 and India's28 guidance notes use the same definition as South Africa's. It is important that each trust and financial institution determines which IGA controls it, and what definitions apply under that IGA. Generally, FFIs that choose to comply with FATCA as a PFFI (if covered by the Regulations because the country in which the FFI is located has a Type 2 IGA with the United States or has no IGA) or a reporting Model 1 FFI (if covered by a Model 1 IGA) should register their status as such with the IRS.29 An FFI may register with the IRS through the FATCA registration portal, a secure website.30 In addition to registering, this portal allows an FFI to manage its registration information and, as necessary, agree to perform the due diligence, reporting and withholding requirements described herein (in other words, enter into an FFI Agreement).31 Upon registering, the FFI will receive a global intermediary identification number (GIIN),32 which it will provide to withholding agents to identify itself as a PFFI (or reporting Model 1 FFI) and avoid FATCA withholding. In our view, all foreign trusts will want to have or report under a GIIN. To be treated as a PFFI, an FFI covered by the Regulations will be required to enter into an FFI Agreement pursuant to which it must agree to take steps to identify its 'US accounts', report certain information to the IRS with respect to its US accounts and withhold 30 per cent of certain payments made to individuals or entities that fail to comply with FATCA ('recalcitrant account holders'). An FFI may be able to comply with FATCA by becoming an 'owner-documented FFI' (ODF).43 An ODF does not need to register with the IRS. Rather, the burden of providing information about the US owners and beneficiaries of an ODF is shifted to institutions with which the ODF has accounts and entities in which the ODF owns interests. The ODF approach may be of limited application to foreign trusts. To qualify as an ODF, an FFI will be required to provide the designated withholding agent with information about its foreign and US owners, which, in the case of an FFI that is a trust, includes information about its foreign and US beneficiaries, to the extent that its beneficiaries are entitled to mandatory distributions or may receive, and actually do receive, discretionary distributions.45 This option may be unattractive in view of the extent of information about owners and beneficiaries that an ODF will generally be required to disclose and, perhaps more troublesome to some trustees, the information will be disclosed to institutions and other designated withholding agents, rather than to the IRS. The sponsored entity categories allow an FFI that meets certain requirements to enter into an agreement with another entity (the sponsoring entity) under which the sponsoring entity will fulfil the sponsored FFI's due diligence, withholding and reporting obligations on its behalf. For many foreign trust groups, it may be attractive to select one sponsoring entity to report on behalf of all entities in the group. The sponsoring entity must be authorised to act on behalf of the FFI to fulfil all due diligence, withholding and reporting responsibilities that the FFI would have assumed if it were a PFFI.52 The sponsored entity provisions under the IGAs also require that the sponsoring entity be authorised to act on behalf of the FFI to fulfil its FATCA compliance obligations. Under the Regulations, the only potential sponsoring entity for a foreign trust that is covered by the Regulations is a trustee that is a private trust company or an institutional trustee, such that a trustee of a group of related trusts could sponsor all of them. Both the Model 1 and Model 2 IGAs create sponsored entity mechanisms very similar to those under the Regulations. Under the Model 1 IGA, a sponsoring entity reports to the FATCA partner country on behalf of the sponsored entity, rather than to the IRS. Apart from some differences in the terminology,56 the provisions under the Model 1 and 2 IGAs regarding sponsored entities are nearly identical. For a trust to qualify as a deemed-compliant FFI (and therefore a non-reporting financial institution) under this category, the following requirements must be met: the trust must have been established under the laws of the FATCA partner jurisdiction at issue; the trustee of the trust must be a reporting US financial institution,61 a reporting Model 1 FFI or a PFFI; and the trustee of the trust must report all information required to be reported pursuant to the IGA with respect to all US reportable accounts62 of the trust. The FATCA registration portal opened in early 201476 and FATCA withholding and account due diligence requirements began on 1 July 2014. The deadline for sponsored entities to be registered by their relevant sponsoring entities was 1 January 2017.77 Since 31 March 2015, FFIs in non-IGA jurisdictions and in Model 2 IGA jurisdictions have been required to report to the IRS annually, via the IRS FATCA registration website, on certain US persons or entities that hold interests in or accounts with such FFIs. This requirement began for FFIs in Model 1 IGA jurisdictions on 30 September 2015. As of April 2018, 100 jurisdictions have entered into IGAs with the United States and 13 additional jurisdictions have reached agreements but not yet signed.78 The following jurisdictions have signed IGAs with the United States. Algeria, Angola, Anguilla, Antigua and Barbuda, Australia, Azerbaijan, the Bahamas, Bahrain, Barbados, Belarus, Belgium, Brazil, British Virgin Islands, Bulgaria, Cambodia, Canada, the Cayman Islands, Colombia, Costa Rica, Croatia, Curaçao, Cyprus, the Czech Republic, Denmark, the Dominican Republic, Estonia, Finland, France, Georgia, Germany, Gibraltar, Greece, Greenland, Grenada, Guernsey, Guyana, the Holy See, Honduras, Hungary, Iceland, India, Ireland, Isle of Man, Israel, Italy, Jamaica, Jersey, Kazakhstan, Korea, Kosovo, Kuwait, Latvia, Liechtenstein, Lithuania, Luxembourg, Malta, Mauritius, Mexico, Montenegro, Montserrat, the Netherlands, New Zealand, Norway, Panama, the Philippines, Poland, Portugal, Qatar, Romania, Saudi Arabia, Singapore, Slovakia, Slovenia, South Africa, Spain, St Kitts and Nevis, St Lucia, St Vincent and the Grenadines, Sweden, Thailand, Trinidad and Tobago, Turkey, Turkmenistan, Turks and Caicos Islands, Ukraine, United Arab Emirates, United Kingdom, Uzbekistan and Vietnam. Cape Verde, China, Dominica, Haiti, Indonesia, Malaysia, Peru, Serbia, Seychelles and Tunisia. 1 Toni Ann Kruse is a partner and Michael D Shapiro is an associate at McDermott Will & Emery LLP. They acknowledge with great appreciation the contributions of their former partner, Henry Christensen III. 2 Treas. Notice 2013-43, 2013–31 IRB 113. 3 Treas. Reg. Section 1.1473-1. The Regulations do not define 'foreign passthru payments'; further guidance will likely define the term to include foreign-sourced payments that are treated as derived from payments described in clauses (1) and (2) above. Deductions and withholding on foreign passthru payments made by a participating FFI to an account held by a recalcitrant account holder or to a nonparticipating FFI will not begin before the later of the publication in the Regulations of a definition of 'foreign passthru payments' and 1 January 2019. Treas. Reg. Section 1.1471-4(b)(4). 4 Treas. Reg. Section 1.1471-5(d). 5 See Treas. Reg. Section 1.1471-5(e). 6 Treas. Reg. Section 1.1471-5(e)(4)(i)(B). 7 The two versions are commonly referred to as 'Model 1 IGA' and 'Model 2 IGA'. See 'Agreement between the Government of the United States of America and the Government of [FATCA Partner] to Improve International Tax Compliance and to Implement FATCA', as revised 30 November 2014 (hereinafter, 'Model 1 IGA'); 'Agreement between the Government of the United States of America and the Government of [FATCA Partner] for Cooperation to Facilitate the Implementation of FATCA', revised 30 November 2014 (hereinafter, 'Model 2 IGA'). See also US Dept of Treas, Resource Center | FATCA, available at https://www.treasury.gov/resource-center/tax-policy/treaties/Pages/FATCA.aspx. 8 See Treas. Reg. Sections 1.1471-2(a)(1), 1.1471-2(a)(4). 'Deemed-compliant FFIs' include RDC FFIs, CDC FFIs, non-reporting IGA FFIs, and owner-documented FFIs. FFIs that satisfy the requirements for one of these categories are considered 'deemed compliant' because they comply with FATCA without entering into an FFI agreement with the IRS. The overarching difference between RDC FFIs and CDC FFIs is that RDC FFIs must register with the IRS, whereas CDC FFIs need only certify their FATCA compliance to each withholding agent. See Treas. Reg. Sections 1.1471-5(f)(1), 1.1471-5(f)(1)(ii)(A), 1.1471-5(f)(2). There has been some question as to whether foreign grantor trusts that are FFIs need to become PFFIs or deemed-compliant FFIs, or whether the payer can look through the grantor trust to its owner. Under Treas. Reg. Section 1.1471-3(a)(3)(ii)(B), it appears that a grantor trust (as a 'flow-through entity') that does not become a PFFI or deemed-compliant FFI will be treated as a 'payee' by withholding agents and will thus be subject to withholding under FATCA. More clarity on this subject has been requested from Treasury by practitioners. 9 See Rev. Proc. 2017-16, 2017-3 I.R.B. 501 (for FFI agreements effective on or after 1 January 2017) and Rev. Proc. 2014-38, 2014-29 I.R.B. 131 (for FFI agreements effective prior to 1 January 2017). See also Treas. Reg. Sections 1.1471-1(b)(91). 10 See Treas. Reg. Sections 1.1471-1(b)(111), 1.1471-1(b)(114). If an FFI is a member of an affiliated group of entities (such as a chain or corporations and trusts connected through greater than 50 per cent ownership), the FFI generally cannot qualify as a PFFI or RDC FFI unless each other FFI in the group is a PFFI or RDC FFI. See also Treas. Reg. Sections 1.1471-1(b)(92), 1.1471-4(e)(1). There are limited exceptions to this rule; however, many of these exceptions became unavailable after 31 December 2016. See Treas. Reg. Sections 1.1471-4(e)(2), 1.1471-4(e)(3). On the other hand, if a member of an affiliated group is a holding company, it may be excluded entirely from the definition of an FFI and therefore may not need to comply with the requirements described herein to avoid FATCA withholding. See Treas. Reg. Section 1.1471-5(e)(5)(iv). For a holding company to be so excluded, it generally cannot maintain any financial accounts or receive payments from a withholding agent other than a member of its affiliated group. The IRS FATCA registration form (Form 8957) seems to contemplate that an affiliated group of FFIs will designate a 'lead' entity and that the registration of all entities in the affiliated group will be linked through this lead. 11 Treas. Reg. Sections 1.1471-2(a)(4)(iv), 1.1471-3(d)(6). 12 Treas. Reg. Sections 1.1471-2(a)(4)(iv), 1.1471-3(d)(4), (5). This option is available to an FFI subject to the Regulations or an IGA. 14 See also Treas. Reg. Section 1.1471-5(e)(4)(v), Example 5. 15 See Treas. Reg. Section 1.1471-5(e). See also Treas. Reg. Section 1.1471-5(e)(4)(v), Example 6. 16 See Treas. Reg. Section 1.1471-5(e). See also Treas. Reg. Section 1.1471-5(e)(4)(v), Examples 1-2. 17 Treas. Reg. Section 1.1473-1(b)(3)(i). 18 Treas. Reg. Section 1.1471-5(b)(3)(iii)(B)(3). 19 'Guidance Notes on the International Tax Compliance Requirements of the Intergovernmental Agreements between the Cayman Islands and the United States of America and the United Kingdom', revised 1 July 2015, Sections 6.1, 6.9. 20 British Virgin Islands Ministry of Finance, 'Guidance Notes on the International Tax Compliance Requirements of the Legislation Implementing the Intergovernmental Agreements Between the British Virgin Islands and the United States of America and the United Kingdom to Improve International Tax Compliance', 20 March 2015, Section 6.7. 21 Guernsey, 'The Income Tax (Approved International Agreements (Implementation) (United Kingdom and United States of America) Regulations, 2014, Draft Guidance Notes', draft revision released 30 April 2015, Section 12.8. 22 'Taxation (International Tax Compliance) (Jersey) Regulations 2014, Guidance Notes', revised 19 June 2016, Section 7.7. 23 'The International Tax Compliance (United States of America and United Kingdom) Regulations 2014, Isle of Man Guidance Notes', issued 21 December 2017, Section 6.10. 24 'Guidance Notes on the Implementation of FATCA in Ireland', issued 19 January 2018, Chapter 5, Paragraph 7. 25 Inland Revenue Authority of Singapore, 'IRAS e-Tax Guide: Compliance Requirements of the Singapore-US Intergovernmental Agreement on Foreign Account Tax Compliance Act,' Paragraph 5.13.5 (2d ed. 17 Nov. 2015). 26 See South African Revenue Service, 'Guide on the U.S. Foreign Account Tax Compliance Act' (FATCA), Paragraph 3.1, Footnote 64 (2d issue, 1 February 2017). 27 Mauritius Revenue Authority, 'Implementation of FATCA, Guidance Notes', released May 2015, Paragraph 3.2. 28 Gov't of India Ministry of Fin. Dep't of Rev., 'Guidance Note on FATCA and CRS', released May 2016, Paragraph 3.5.1. 29 See the preamble to the Regulations. Although it is not entirely clear whether a reporting Model 1 FFI is required to register with the IRS to comply with FATCA, we advise such FFIs to register in order to obtain a global intermediary identification number (a GIIN) and to safely avoid being the subject of certain due diligence and reporting requirements and being subject to FATCA withholding. See Treas. Reg. Sections 1.1471-2(a)(4)(iv), 1.1471-3(d)(4)(i); Model 1 IGA, Annex 1, Paragraph IV(D)(2)(b), V(B)(1). Form 8957, which may be used by an FFI to register with the IRS, also suggests that a Model 1 FFI should register. Additionally, the IRS FATCA Online Registration User Guide states that 'FIs that are treated as reporting FIs under a Model 1 IGA . . . should register as RDCFFIs'. Publication 5118 (Rev. 06-2017), Section 2.4: Special Rules for Registration, available at http://www.irs.gov/pub/irs-pdf/p5118.pdf. 30 See https://www.irs.gov/businesses/corporations/fatca-foreign-financial-institution-registration-system. See also IRS, Publication 5118 (Rev. 06-2017), 'FATCA Online Registration User Guide'. The FFI can also register by filing Form 8957, which was revised in June 2017. 31 A reporting Model 1 FFI will not enter into an FFI Agreement but will instead be required to comply with certain requirements pursuant to local law. 32 See Treas. Reg. Section 1.1471-1(b)(57). See footnote 29 for discussion of GIINs. 33 Treas. Reg. Section 1.1471-4(a)(2). 34 Treas. Reg. Section 1.1471-5(a)(2). A specified US person is, generally, any US person other than a publicly traded corporation, a tax-exempt charity, the United States government or an agency thereof, or a bank. Treas. Reg. Section 1.1473-1(c). For the definition of a US-owned foreign entity, see the discussion below. 35 See Treas. Reg. Section 1.1471-5(b)(1)(iii). An equity interest in an FFI that is not an 'investment entity', however, is treated as a financial account only in certain circumstances. See Treas. Reg. Section 1.1471-5(b)(1)(iii)(C). An investment entity is generally in the business of investing, administering, or managing funds on behalf of others; or generates 50 per cent or more of its income from investing, reinvesting or trading its financial assets and is professionally managed. See Treas. Reg. Section 1.1471-5(e)(4)(i), (iv). Most professionally managed trusts will be investment entities. 36 See Code Section 1471(c); Treas. Reg. Section 1.1471-4(d)(3). A PFFI will be required to annually report to the IRS using Form 8966: FATCA Report. Generally, such report should include the name, address and tax identification number of each US account holder; the account number (if relevant); the account balance or value of the account; the payments made with respect to the account during the calendar year; and any other information required pursuant to the instructions of Form 8966. 37 Treas. Reg. Section 1.1471-4(b)(1). A non-participating FFI is generally an FFI that is not a PFFI or a deemed-compliant FFI (including an RDC FFI). Treas. Reg. Section 1.1471-1(b)(82). A recalcitrant account holder is a holder of an account maintained by an FFI who is not himself or herself an FFI and who fails to comply with requests by the FFI for documentation or information the FFI is required to obtain pursuant to FATCA Treas. Reg. Section 1.1471-5(g)(2). Withholding on 'pass-through payments' (i.e., any withholdable payment or other payment to the extent attributable to a withholdable payment) will begin no earlier than 1 January 2019. Treas. Reg. Section 1.1471-4(b)(4). 38 See Model 1 IGA, Article 1, Paragraph 1(l). 39 Prior to 2017, a reporting Model 1 FFI was not required to report a required US taxpayer identification number (TIN) or date of birth for an account existing prior to the applicable Model 1 IGA that is a US reportable account if the US TIN was not in the reporting Model 1 FFI's records. Certain Model 1 FFIs needed additional time to implement practices and procedures to obtain and report required US TINs for pre-existing accounts that are US reportable accounts beginning in 2017. The Treasury Department and IRS has determined that with respect to reporting on pre-existing accounts that are US reportable accounts, for calendar years 2017, 2018, and 2019, the US competent authority will not determine that there is significant non-compliance with the obligations under an applicable Model 1 IGA with respect to a reporting Model 1 FFI solely because of a failure to obtain and report each required US TIN, provided that the reporting Model 1 FFI: obtains and reports the date of birth of each account holder and controlling person whose US TIN is not reported; requests annually from each account holder any missing required US TIN; and before reporting information that relates to calendar year 2017 to the partner jurisdiction, searches electronically searchable data maintained by the reporting Model 1 FFI for any missing required US TINs. The IRS expects to provide further instructions regarding appropriate reporting for the TIN data element for pre-existing accounts that are US reportable accounts with missing required US TINs. See IRS Notice 2017-46, 2017-41 IRB. 40 See Model 2 IGA, Article 1, Paragraph 1(v), Article 2, Paragraph 1(a); Treas. Reg. Section 1.1471-4(a). Similar to an FFI covered by a Model 1 IGA, an FFI covered by a Model 2 IGA that is a trust is treated as complying with the terms of the IGA if the trustee of the trust is itself a PFFI under the Regulations or an FFI in compliance with the requirements of an IGA. See Model 2 IGA, Annex II, Paragraph IV(A). 41 See Model 2 IGA, Article 1, Paragraph 1(t), (v), Annex 1. 42 See Model 2 IGA, Article 1, Paragraph 1(s), (ee); Treas. Reg. Sections 1.1473-1(b)(3). Under the Model 2 IGA, the trust will also be required to obtain consent from the beneficiaries to report their information to the IRS. See Model 2 IGA, Article 2, Paragraph 1(b), (d). 43 See generally Treas. Reg. Section 1.1471-5(f)(3). 44 See Treas. Reg. Section 1.1471-5(f)(3)(i). 45 Ibid., Sections 1.1471-5(f)(3)(ii)(D), 1.1471-3(d)(6)(i)(C), 1.1471-3(d)(6)(i)(D), 1.1471-3(d)(6)(iii), 1.1471-3(d)(6)(iv), 1.1471-5(b)(1)(iii), 1.1471-5(b)(3)(iii)(B). 46 See Treas. Reg. Section 1.1471-3(d)(6)(ii). 47 Id. 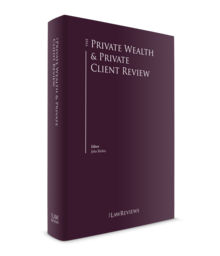 This alternative may be useful to an FFI that prefers to provide information about its foreign owners or beneficiaries to a trusted accounting or law firm rather than the institutions in which it invests. Its usefulness is limited by the requirement that the FFI continue to provide information about its US owners or beneficiaries to such institutions. 48 See Article 4, Paragraph 4 of the Model 1 IGA, which requires the United States to treat each non-reporting [FATCA Partner] financial institution as complying with (or exempt from) FATCA. See also Article 1, Paragraph 1(q) of the Model 1 IGA, which defines a non-reporting [FATCA partner] financial institution to include an FFI covered by the Model 1 IGA 'that otherwise qualifies as a deemed-compliant FFI . . . under relevant US Treasury Regulations . . .' See identical provisions in the Model 2 IGA, Article 1, Paragraph 1(p) and Article 3, Paragraph 4. 49 See Treas. Reg. Section 1.1471-5(f)(1)(i)(F). 51 Treas. Reg. Sections 1.1471-5(f)(1)(i)(F)(1)(i), 1.1471-5(f)(2)(iii)(A). The definitions of QIs, WPs and WTs under the Regulations (see Treas. Reg. Section 1.1471-1(b)(107), (149) and (151), respectively) direct the reader to the definitions of such persons or entities as set forth in the regulations for Code Section 1441. See Treas. Reg. Sections 1.1441-1(e)(5)(ii), 1.1441-5(c)(2)(ii) and 1.1441-5(e)(5)(v). Generally, QIs, WPs and WTs are defined as such by virtue of having entered into a withholding agreement with the IRS. 52 Treas. Reg. Sections 1.1471-5(f)(1)(i)(F)(3)(i), 1.1471-5(f)(2)(iii)(B). See Section III, for an explanation of the due diligence, withholding and reporting requirements applicable to PFFIs. 53 Treas. Reg. Sections 1.1471-5(f)(1)(i)(F)(1)(ii), (F)(3)(iv), 1.1471-5(f)(2)(iii)(B), (D)(2). 54 Treas. Reg. Sections 1.1471-5(f)(1)(i)(F)(3)(ii), 1.1471-5(f)(2)(iii)(D)(1). 55 See Prop. Treas. Reg. Section 1.1471-5. 56 Because the Model 2 IGA generally makes use of the terms used in the Regulations, and the Model 1 IGA creates many of its own terms, certain of the terms in the rules in each IGA are different, though they generally have similar meanings. 57 Model 1 IGA, Article 4, Paragraph 4. 58 Note that the Model 1 IGA does not explicitly distinguish between RDC FFIs and CDC FFIs. 59 See Model 1 IGA, Annex II, Paragraph IV(A). 60 Ibid., Paragraphs IV(B), IV(C). 61 A reporting US financial institution is: any financial institution that is resident in the United States, but excluding any branch of such financial institution that is located outside the United States; and any branch of a financial institution not resident in the United States, if such branch is located in the United States, provided that the financial institution or branch has control, receipt, or custody of income with respect to which information is required to be exchanged under subparagraph (2)(b) of Article 2 of the Model 1 IGA. See Model 1 IGA, Article 1, Paragraph 1(p). 62 A US reportable account is a financial account maintained by a reporting [FATCA partner] financial institution and held by one or more specified US persons or by a non-US entity with one or more controlling persons that is a specified US person. See Model 1 IGA, Article 1, Paragraph 1(cc). 63 See Model 1 IGA, Annex II, Paragraphs IV(B)(1), IV(C)(1). 64 Ibid., Paragraphs IV(B)(1), IV(C)(2). 65 Ibid., Paragraphs IV(B)(3)(a), IV(C)(2). 66 Ibid., Paragraphs IV(B)(3)(b), IV(C)(5)(a). 67 Ibid., Paragraphs IV(B)(3)(d), IV(C)(5)(b). 68 Ibid., Paragraphs IV(B)(3)(e), IV(C)(5)(c). 73 Ibid., Paragraphs IV(A), IV(B), IV(C). 74 See Treas. Reg. Section 1.1471-5(e)(4)(i). 75 See Treas. Reg. Section 1.1472-1(e). 76 The IRS published a revised FACTA Online Registration User Guide in June 2017, which is available at https://www.irs.gov/pub/irs-pdf/p5118.pdf. 77 Treas. Notice 2015-66, I.R.B. 2015-41, Section V.
78 US Dept of Treas, Resource Center | FATCA, available at https://www.treasury.gov/resource-center/tax-policy/treaties/Pages/FATCA.aspx. 79 Consistent with the Taiwan Relations Act, the parties to the agreement are the American Institute in Taiwan and the Taipei Economic and Cultural Representative Office in the United States. Id. 80 Guernsey, 'The Income Tax (Approved International Agreements (Implementation) (United Kingdom and United States of America) Regulations, 2014, Guidance Notes', revised draft dated 30 April 2015, Section 7.10. 81 'Guidance Notes on the Implementation of FATCA in Ireland', revised 19 January 2018, Chapter 1, Paragraph 2. 82 'Compliance Requirements for Malaysia-US Intergovernmental Agreement on Foreign Account Tax Compliance Act (FATCA)', draft dated 11 September 2015, Sections 8.9.2, 9.2.4, 11.1.2. 83 'Guidelines for the implementation of the FATCA Agreement and the FATCA Regulations in Malta issued in terms of Article 96(2) of the Income Tax Act (Chapter 123 of the Laws of Malta)', revised 29 July 2014, Section 2.18. Section 3.3 of the Malta Guidelines exempt a trust that does not have a US reportable account from nil reporting. 84 Mauritius Revenue Authority, 'Implementation of FATCA, Guidance Notes', released May 2015, Chapter 10. 85 Inland Revenue Authority of Singapore, 'IRAS e-Tax Guide: Compliance Requirements of the Singapore-US Intergovernmental Agreement on Foreign Account Tax Compliance Act', second edition, released 17 November 2015, Sections 8.2.2, 10.1.2. 86 South African Revenue Service, 'Guide on the US Foreign Account Tax Compliance Act', Issue 2, released 1 February 2017, Paragraph 1.2. 87 Australian Taxation Office, 'Foreign Account Compliance Act reporting, Nil reports,' modified 24 May 2018, https://www.ato.gov.au/Business/Third-party-reporting/FATCA-Reporting. 88 The British Virgin Islands confirmed that nil reports were not necessary. See Government of the Virgin Islands, 'BVI Financial Accounting System Now Open', 15 April 2015, available at http://www.bvi.gov.vg/media-centre/bvi-financial-account-reporting-system-now-open. 89 Canada Revenue Agency, 'Guidance on the Canada-U.S. Enhanced Tax Information Exchange Agreement, Part XVIII of the Income Tax Act', revised 22 March 2017, Section 12.2. 90 'Guidance Notes on the International Tax Compliance Requirements of the Intergovernmental Agreements between the Cayman Islands and the United States of America and the United Kingdom', revised 1 July 2015, Section 17.3. 91 Revenus 2017, 'Transfert D'Informations en Application de la Loi FATCA Par Procédé Informatique, Cahier de Charges', revised 27 April 2018, p. 43. 92 'The International Tax Compliance (United States of America) Regulations 2014, Application of FATCA for Isle of Man Financial Institutions, Guidance Note, GN 55', 21 December 2017, Section 18.4. 93 'Taxation (International Tax Compliance) (Jersey) Regulations 2014, Draft Guidance Notes', revised 9 June 2016, Section 7.10. 94 The United Kingdom removed the requirement for an FFI to file a 'nil return' on 11 March 2015. See 'The Foreign Account Tax Compliance Act: registering and reporting information to HM Revenue and Customs', last updated 21 May 2015, available at https://www.gov.uk/the-foreign-account-tax-compliance-act-reporting-information-to-hm-revenue-and-customs-fatca. Recent guidance confirms that nil returns usually are unnecessary. 'How to report Automatic Exchange of Information', last updated 2 May 2018, available at https://www.gov.uk/government/publications/foreign-account-tax-compliance-act-registration-guidance-fatca/automatic-exchange-of-information-reporting-guidance. 95 IRS, FATCA-FAQs General, 'Reporting', Q1 (last updated 2 February 2016), available at https://www.irs.gov/businesses/corporations/frequently-asked-questions-faqs-fatca-compliance-legal#ReportingQ1. 96 See IRS, 'FATCA Online Registration User Guide' (June 2017) available at https://www.irs.gov/pub/irs-pdf/p5118.pdf; I.R.S., 'FATCA Foreign Financial Institution (FFI) List Search and Download Tool User Guide' (Nov. 2015), available at https://www.irs.gov/pub/irs-pdf/p5147.pdf. 97 See IRS, FATCA Foreign Financial Institution (FFI) List Search and Download Tool, available at https://www.irs.gov/businesses/corporations/fatca-foreign-financial-institution-list-search-and-download-tool. 98 See IRS, International Data Exchange Service, available at https://www.irs.gov/businesses/corporations/international-data-exchange-service. 99 See FATCA XML v2.0, available at https://www.irs.gov/pub/irs-pdf/p5124.pdf. 100 Joshua D Blank and Ruth Mason, Exporting FATCA, 142 Tax Notes 1245 (2014). 101 OECD, 'Standard for Automatic Exchange of Financial Account Information: Common Reporting Standard' (17 January 2014). A second edition of the Common Reporting Standard was released on 4 June 2017. The second edition expands the user guide related to the technical manner in which the exchange of information is accomplished, known as the CRS XML Schema, but otherwise remains unchanged from the first edition. See OECD, 'Stand for Exchange of Financial Account Information in Tax Matters, Second Edition,' available at http://www.oecd.org/tax/automatic-exchange/common-reporting-standard/standard-for-automatic-exchange-of-financial-account-information-in-tax-matters-second-edition-9789264267992-en.htm. 102 Reporting for UK FATCA began in 2016. Reporting in the United Kingdom for the Common Reporting Standard began in 2017. The year 2017 is considered an overlap year. Beginning in 2018, only reporting under the Common Reporting Standard is required. HM Revenue & Customs, International Exchange of Information Manual, Timetable: CDOT to CRS Transition Detailed Guidance (updated 27 April 2017), available at https://www.gov.uk/hmrc-internal-manuals/international-exchange-of-information/ieim400555. 103 The OECD recently issued Model Mandatory Disclosure Rules for CRS Avoidance Arrangements and Opaque Offshore Structures, which require lawyers, accountants, financial advisers, banks and other service providers to inform tax authorities of any schemes they put in place for their clients to avoid reporting under CRS. OECD, 'Model Mandatory Disclosure Rules for CRS Avoidance Arrangements and Opaque Offshore Structures' (2018), available at http://www.oecd.org/tax/exchange-of-tax-information/model-mandatory-disclosure-rules-for-crs-avoidance-arrangements-and-opaque-offshore-structures.pdf. 104 See 'EU Tax Commissioner Welcomes Global Tax Transparency Standard', Tax Analysts Worldwide Tax Daily (Feb. 25, 2014); OECD Global Forum on Transparency and Exchange of Information for Tax Purposes, 'AEOI: Status of Commitments' (November 2017), available at http://www.oecd.org/tax/automatic-exchange/commitment-and-monitoring-process/AEOI-commitments.pdf. 105 OECD Global Forum on Transparency and Exchange of Information for Tax Purposes, 'AEOI: Status of Commitments' (November 2017), available at http://www.oecd.org/tax/automatic-exchange/commitment-and-monitoring-process/AEOI-commitments.pdf. 106 OECD Automatic Exchange Portal, 'Activated Exchange Relationships for CRS Information' (May 2018), available at http://www.oecd.org/tax/automatic-exchange/international-framework-for-the-crs.